Chpwn is one of my favorite jailbreak devs because he creates really useful apps and mods that just make your iPhone experience better. He worked with Ryan Petrich on ProSwitcher, he developed InfiniDock, and today, he just released InfiniBoard. InfiniBoard is a jailbreak application that simply brings vertical scrolling to your iPhone springboard. 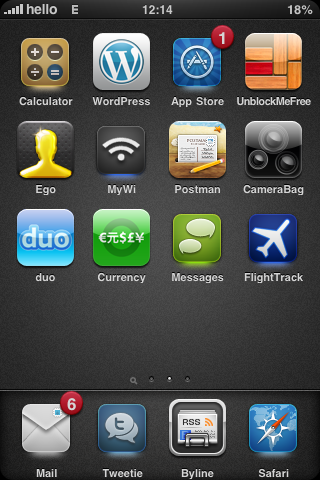 It lets you add as many icons as you wish to any page, and access them by flicking up and down. I’ve played with InfiniBoard for about an hour now and it works as described. The way I went about it is that instead of moving my icons one by one to a page, I used MultiIconMover to move all my icons at once. It saved me lots of time. 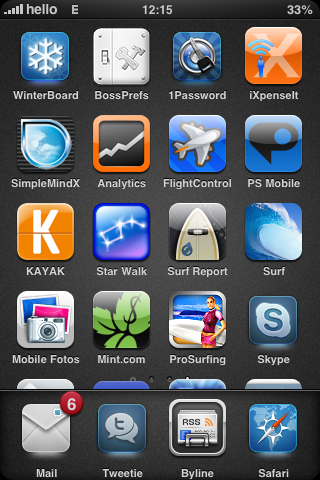 On the springboard, I left my first and second page of apps with 12 icons per page. These are the apps I use the most and I wanted to keep part of my springboard “clean”. On the third page, I added every other application so I can just browse through them by scrolling vertically. I’ll have to test InfiniBoard on a longer period of time to figure out if I like it or not. So far, I think it’s worth the $1.99. What do you think?